Bukidnon State University is located in the capital town of Malaybalay City, Bukidnon and is strategically positioned to serve Region 10, the CARAGA Region and other outlaying cities and provinces of Mindanao. It is one of the leading educational institutions serving the people not only in Mindanao but also the country in general. The Bukidnon State College was known as the Bukidnon Provincial High School when it started offering education courses in 1924, to produce elementary school teachers. On October 1927 it acquired a 6.02-hectare of land area, on which most of the present school buildings are housed. 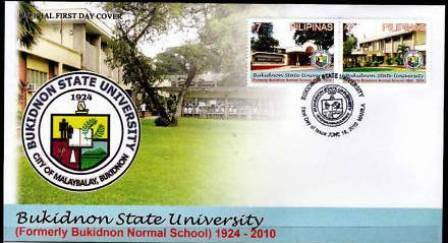 In the succeeding year, it was converted into a normal school and was then renamed as the Bukidnon Normal School. However, the school had to close during World War II, on December 9, 1941, even as it was making a slight headway towards acquiring a collegiate status. The school re-opened on September 1, 1945. Classes were held in Army tents at the provincial capitol grounds in Malaybalay and in private homes. Nipa-roofed buildings served as classrooms in 1947 until new, semi-permanent structures were built from war damage claims. The College obtained the University status with RA 9456 converting BSC to BSU, signed by President Gloria Macapagal-Arroyo. Rigorous improvements are aligned to address the global perspective of the University.